When I realized that fresh cilantro could be frozen, keeping most of its earthy flavor intact, I was really stoked. You might want to read the post on that first excursion in saving one of my favorite seasonings, if you haven’t already (freezing cilantro). Freezing cilantro means no need to pay outrageous prices for cilantro in the off-seasons in this area. It means that I can take advantage of the occasional sales at the ethnic markets in the area when they sell cilantro four bundles for a dollar. It means I can preserve the flavor of really fresh cilantro to use later when the markets are carrying cilantro with dreadfully faded flavor. Then I discovered food writer, Laurie Constantino, who is brilliant in the kitchen. She was freezing a cilantro pesto. I looked over the ingredients to realize that this pesto combination is something I put in salsas, soups, sauces, marinades, and dips. Why not freeze them all together like this? Brilliant! Time saving! I gave it a run. If you have any love for cilantro, you should try it too. The flavors are dense. The color is stunning. The extra virgin olive oil keeps it all together and helps to preserve both the flavor and the color. Over the years I have experimented with numerous creative ideas for freezing food in usable ways. If your frozen bounty is a pain to use, you probably won’t use it. If it is accessible in the right amounts, you will use it before the season comes around again. Laurie presented a drop-dead simple way of freezing the pesto. Pour a cup to a cup and a half in a gallon sized freezer bag. Spread the pesto thinly and freeze it on something flat so you end up with one very slim sheet of frozen pest. Break off pieces of it as you need them. The rest stays frozen. I’m all over this. I bet you are too. Of course, the ice cube tray method works quite well too. In the instructions below you are given amounts for 1 batch of cilantro pesto to go in 1 gallon freezer bag. 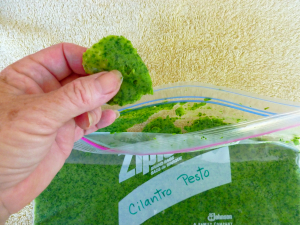 If you have lots of cilantro, you will be multiplying these amounts, but probably still staying with the one blender of pesto at a time approach. 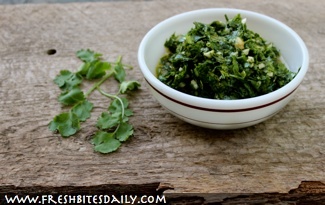 If you have not already read the post on freezing cilantro, do so. 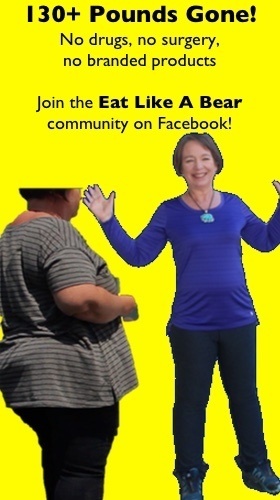 There is some savvy info there you do not want to miss. Place the oil, lime juice, garlic, and jalapenos in the blender. Whirl around until you have a smooth mixture. Add the chopped cilantro and pulse. This will take a few moments of pulsing and scraping down the sides of the blender container before the mixture will actually turn into a puree. Once the pesto is in puree form you can use it immediately, freeze it in ice cube trays, or place it in the freezer bags as described above. Put the bag on a cookie sheet in the freezer to keep the flat shape in place. Once the bags are thoroughly frozen they can be neatly stacked, saving you some freezer space. 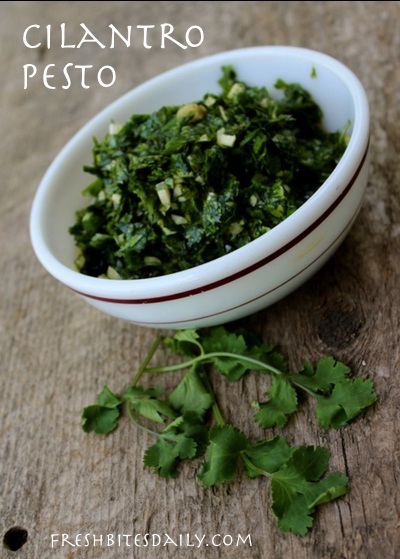 1 Comment on "Enjoy the full flavor of cilantro with this cilantro pesto (preserve it this way too)"